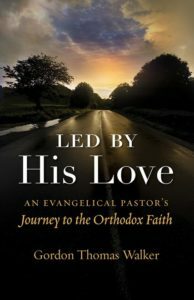 Led by His Love, An Evangelical Pastor’s Journey to the Orthodox Faith, V. Rev. Gordon Thomas Walker with Philip Walker and Andrew Attaway, 2018, Ancient Faith Publishing, Chesterton, Indiana. This book is the “journey of a gentle soul” to the Orthodox Faith. On September 5, 1986, Gordon Walker found himself, with the other leaders of the Evangelical Orthodox Church (EOC) in Englewood, New Jersey. Here was the last hope and chance of having the EOC received into the Orthodox Christian Church — the Church of the Apostles. His journey was long, patient, grueling and loving. The book describes the journey in soft and gentle detail, and you know that you are traveling with a holy man who is imbued with the grace of the Holy Spirit. His odyssey to Orthodoxy was full of twists and turns. Thank God he worked within a support group of leaders including Peter Gillquist, Jack Sparks, Jon Braun, Ken Berven and Richard Ballew. Together they learned about and came to grips with the history, lives of the saints, accepted the practices, sacraments/mysteries, authority, order of the priesthood, liturgy and theology of the Orthodox Faith. They were guided along the way by Metropolitan Maximos of the Greek Orthodox Archdiocese of America (GOA), and Father Gordon’s godfather; Archbishop Dimitri, of the Orthodox Church in America (OCA); Father Alexander Schmemann and others. Along the way, they were rejected by the Orthodox Church in America, the Greek Orthodox Archdiocese, and the Ecumenical Patriarchate in Istanbul. Now, Gordon Walker and his brothers in Christ found themselves confronting the last hurdles of considerations by some staff members of the Antiochian Archdiocese. Weeping aloud, Gordon said, “Brothers, we have been knocking on Orthodox doors for ten years, but to no avail. Now we have come to your doorstep, seeking the Holy Catholic and Apostolic Faith. If you do not accept us, where do we go from here?” The visionary Metropolitan Philip, Primate of the Antiochian Archdiocese in North America (of blessed memory), responded to the cry of the pure in heart Gordon by saying: “Welcome home, brothers.” Metropolitan Philip, like all the rest of us who knew and loved Gordon Walker, was taken aback by his sincerity. Everyone seeking to renew and energize his or her faith, cradle Orthodox, Catholic, Protestant, seekers, and those of other faiths or no faith, should read this remarkable story! 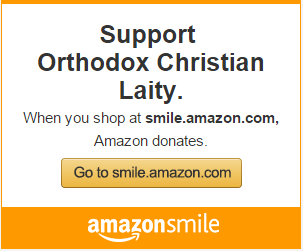 You will discover a true servant of God and how he found his home in Orthodoxy. Father Gordon Walker and Father Peter Gillquist served on the advisory board of Orthodox Christian Laity until they fell asleep in the Lord. Father Gordon joined the OCL board in 2005. 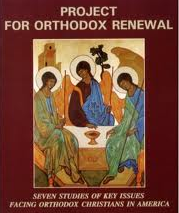 On page 156 of this inspiring book, Father Gordon writes of his time on OCL’s board, describing it as “a support group dear to my heart that has championed Orthodox unity throughout its existence, and I am glad to see their work continue under other leadership. How pleasing it is to witness the continued growth of the Orthodox Christian faith in so many ways. May God continue to bless His holy Church.” OCL is strengthened be by the blessed memory and leadership and the love of the servant of God, Father Gordon Walker. May his memory be eternal. Bobby Maddex interviews Dr. Phillip Walker, the brother of Fr. Gordon Walker of Blessed Memory. He is the editor and compiler of the new AFP book Led By His Love: An Evangelical Pastor’s Journey to the Orthodox Faith. Click on the following link to listen to the interview: http://www.ancientfaith.com/podcasts/exlibris/led_by_his_love.